The dinner date has been a mainstay of courtship for millennia. At first, it was a supreme sacrifice to share what little food you had managed to hunt or gather for yourself. Even now, it is a gesture of extreme care and consideration – a sign that you want to look after your partner’s most fundamental needs. While there are plenty of other things you could do to woo your other half in Phuket, romantic tips like these will help you get the most out of your meal times. 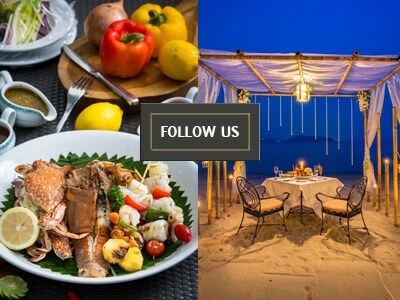 Here are four great dinner date ideas you can use on the Pearl of the Andaman (though they’ll probably work elsewhere, too!). This one can be risky, if you’re not up to much as a chef. However, actually preparing the meal yourself not only a chance to show off your culinary skills, but also shows real care and consideration. The fact that you’ve gone to the time and effort to obtain and prepare the ingredients yourself, rather than paying a restaurant to do it for you, is a really meaningful gesture. This isn’t recommended for a first date as the setting is a little too personal. Other Phuket romantic tips might have told you about great viewpoints around the island where you can share a moment with your loved one and some stunning scenery. The Kata Viewpoint is certainly a good one, even in the evening, with the three beaches of Kata Noi, Kata Yai and Karon bathed in the glow of streetlights. The only problem is that there’s no food to be found up there, so grab a pizza or a takeaway and drive up there. You’ll probably have the place to yourself and the atmosphere will be more casual and relaxed. There are plenty of Phuket romantic restaurants to choose from, each different to the last. With a little research, you can find great French, German, Mexican, American, Chinese, Japanese, Italian, Indian, British, Brazilian, Swedish, Swiss and, of course, Thai places, among many others. Experiment with something neither of you have ever tried. It’ll create a new shared experience (potentially a shared hardship, depending on the cuisine) and you might discover a new favourite dish together. You certainly won’t lack for conversation between mouthfuls, either way. Despite there being more than 30 beaches in Phuket, romantic tips will tell you that beachfront restaurants are actually fairly rare here. There are some, however, including the Old Siam Restaurant at Thavorn Beach Village Resort. It is probably the most romantic setting on the island, with the sand in your toes, the gentle swish of the waves on the beach and the table lit only by candles and the moon. Also, the food is fantastic!